According to estimates, the number of extremely overweight people in Europe has tripled since the 1980s. HEWI has developed products with a support capacity of up to 300 kg especially for people with adiposity. The accessibility products are additionally reinforced so that they withstand extremely large loads. 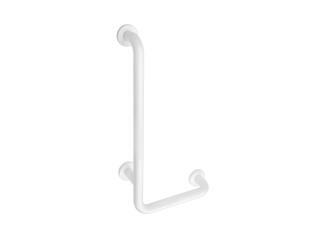 For example, the hinged support rail has an additional floor support. 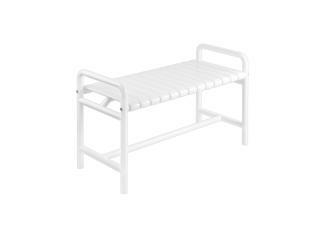 The shower bench provides plenty of space and a secure hold for overweight people. 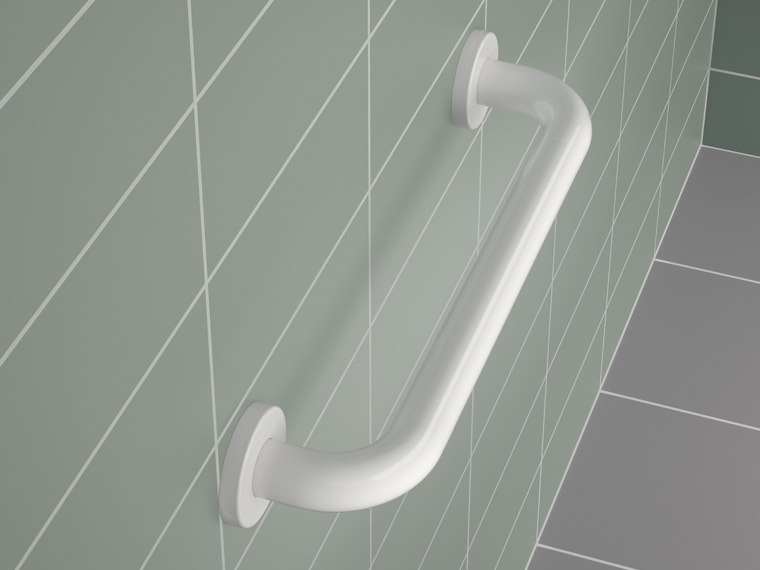 The handles not only have a high loading capacity but also have an enlarged gripping area, so that adipose patients can also safely grip the handle. 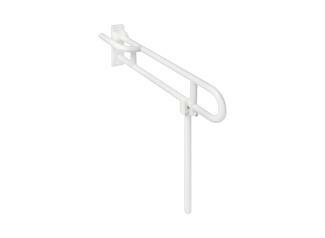 The hinged support rail is reinforced by an additional wall support and a floor support and has a steel core. Two gripping levels assist movement sequences in the bathroom. The polyamide surface has a pleasant feel. 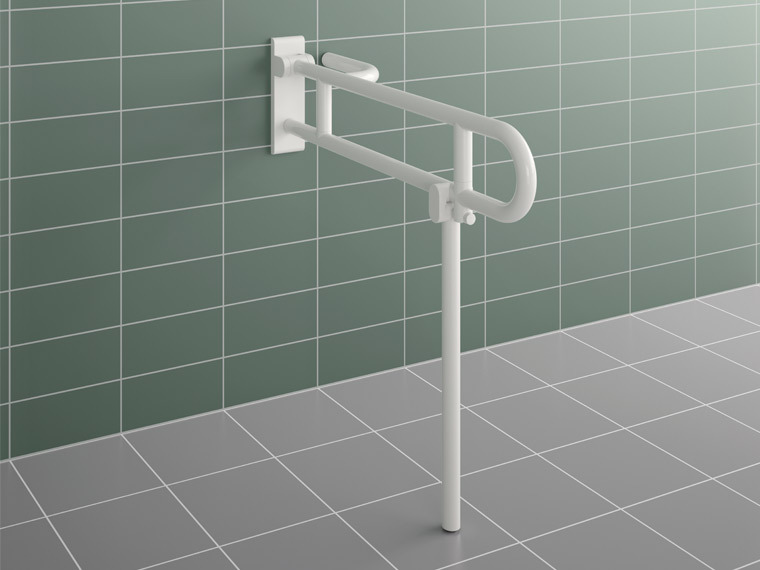 The hinged support rail is particularly space-saving: It can be folded upwards and turned towards the wall. 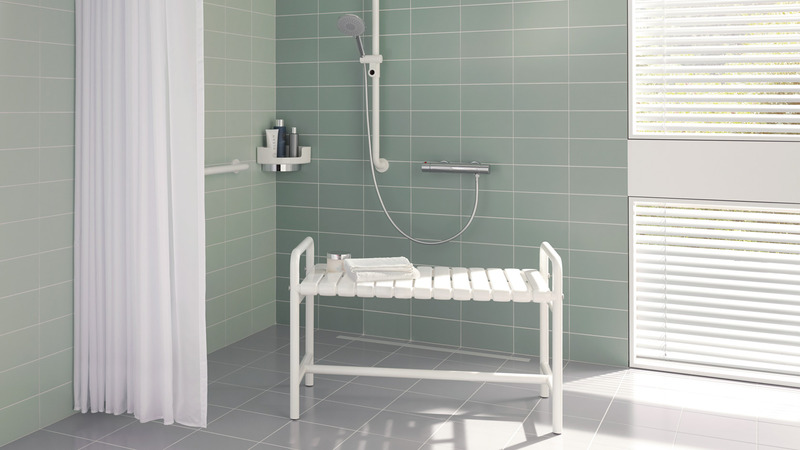 A shower bench not only provides an adequately large seat, it also has integrated support rails. 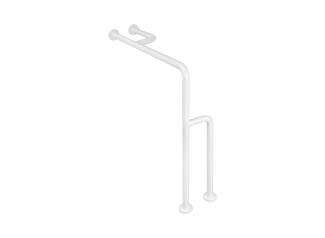 This facilitates sitting down and standing up. The shower benches can also be used flexibly. 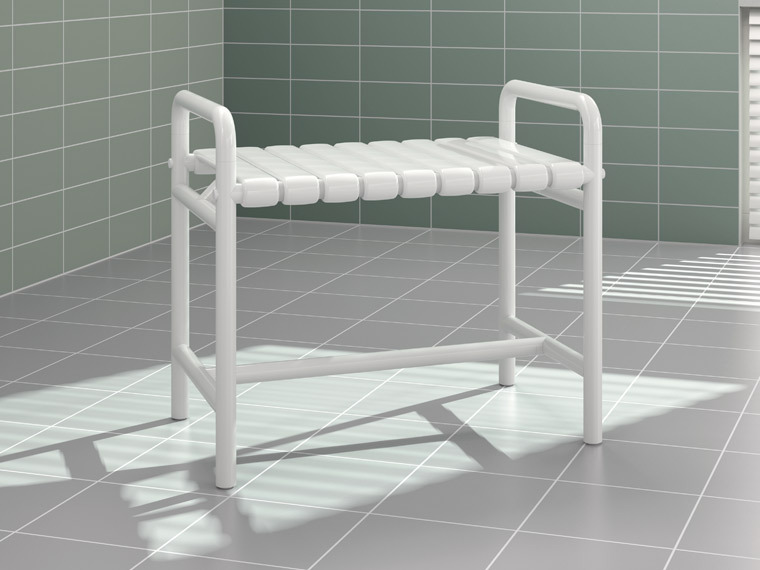 Due to the steel core and additional reinforcement of the seat, the shower bench has a weight capacity of up to 300 kg. 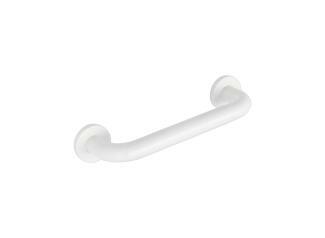 Support rails provide reliable support in all areas of the sanitary room. A cross-section that is optimally adapted to the hand promotes effective force transfer. A wider distance from the wall enables a larger gripping area, so that obese patients can also grip securely around the support rail. A steel core inside the support rail and fixing roses made of steel increase stability. The products are conceived for people who, due to the massive overweight, suffer from severe impairment of their mobility. HEWI adiposity products support and promote the mobility of obese patients. Here you will find practical bathroom design tips. 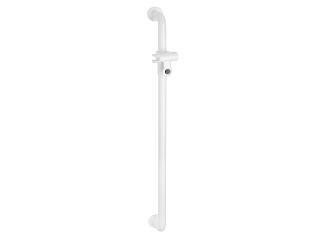 The sanitary range is made of high-quality polyamide and reinforced with a steel core. The products for patients with adiposity are available in selected HEWI colours.